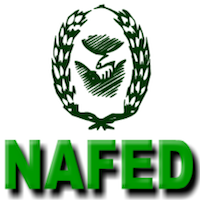 Online Application Details for National Agricultural Cooperative Marketing Federation of India Limited NAFED Recruitment of 1 General Manager and 1 Law Officer is given below. Application form and duly attested documents are to be sent to Managing Director, National Agricultural Coop. Marketing Federation of India Ltd., Nafed House, Sidhartha Enclave, Ashram Chowk, Ring Road, New Delhi-110014. In envelope super scribed with 'Application for the Post of Post Name'.